DeCavitte Properties is a small "boutique" custom builder, specializing in luxury residential homes, estates, lake homes, major additions and renovations to meet and exceed your expectations for over 20 years. Our marketing niche is founded on originality, creativity, open communication, impeccable attention to detail, and unparalleled quality, service, and value. Personalized service and attention is unequalled, as each client works directly with the builder, Dean DeCavitte, from design conception to the final walk-thru. Whether it's a free standing spiral staircase that sweeps gracefully upward, an imported hand-carved stone fireplace, outdoor room, designer gourmet kitchen, wine grotto, or a theatre-quality media room, each DeCavitte home is meticulously crafted to impeccable standards. Dean's design background enables him to transform the ideas on paper to a dream home your family will enjoy for many years to come and he personally supervises the construction of each and every home assuring your investment receives the priority and attention it deserves. It's the commitment of striving to be the best, not the biggest, that DeCavitte Properties is most proud of. If you are considering building a custom home in Southlake, Westlake, Colleyville, Keller, or the surrounding areas give us a call today at 817-946-0346 or click the "Contact Me" button to send us a message. We look forward to working with you!! The construction of a home takes over one hundred individuals focused on a common goal. We have been building luxury custom homes for over 30 years, and client satisfaction is our number one priority. Whether you’re an empty nester or a growing family, we customize each aspect of your home to suit your lifestyle. Additionally, each home is built with the latest technology in energy efficiency and safety standards. Larry Stewart Custom Homes has an esteemed track record as luxury home builders building custom homes not only to impress, but also to stand the test of time, both structurally and conceptually. We often design homes with features that have not been seen in our area. We love to create designs that are lasting and bring people together. We are dedicated to creating unity between the style, luxury, and convenience of owning a custom home. Visit our website or call us at 817-251-5832! "Gutted to gorgeous".. 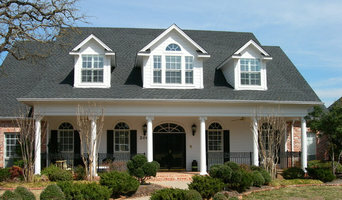 Rebuild homes with structural character that have great location, subdivision. Now designing pools for pool builder! For Westlake residential home builders who also act as developers, the job starts well before the first nail is driven. They perform local market research to determine whether the prospective homesites make sense in the Westlake, TX market, as well as survey the land on which the house will be built to make sure it is suitable for construction. Custom builders also obtain the necessary permits. 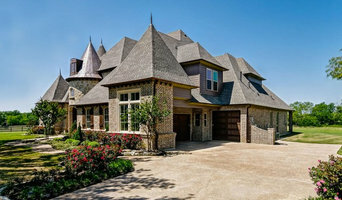 A good custom home builder in Westlake, TX has skills that go far beyond construction — he or she must supervise subcontractors and artisans; keep tabs on local zoning regulations, building codes and other legalities; inspect work for problems along the way; and perform dozens of other roles that are essential in building a quality house. Here are some related professionals and vendors to complement the work of home builders: Interior Designers & Decorators, Landscape Architects & Landscape Designers, Architects & Building Designers, Kitchen & Bath Designers, Specialty Contractors. House builders are responsible for ensuring that the home-building project sticks as closely as possible to the specified timetable, particularly in the event of change orders. Custom and luxury home builders in Westlake, TX also need interpersonal skills to deal with clients of all types, soothe frazzled nerves, negotiate conflicts and resolve problems. Find custom home builders in Westlake, TX on Houzz. Narrow your search in the Professionals section of the website to Westlake, TX home builders. You can also look through Westlake, TX photos to find a house you like, then contact the builder who worked on it.